I need to get to readin' the book! I have read not to let it go above 27 degrees in a storage space, but what about too cold? I have a cold cellar that gets to between 5-10 degrees in winter...too cold? I've kept it in the fridge and it's actually continued to sour at fridge temperatures—very slowly, of course! Which environment is more ideal? I’ve lacto fermented hot peppers and fennel in a vacuum bag. 2% salt plus the vegetable and vacuum. It’ll ferment at room temp but somewhat slowly. I did it at 80F and they were ready in about 7 days. The noma book really is good. Just started 36oz if Tropicalia IPA, 20ml grain alcohol and 216g of brags vinegar to make beer vinegar. Should be tasty. FWIW, here's a free resource that I used to cite frequently—there are more if I can find them. FERMENTED FRUITS AND VEGETABLES—A GLOBAL PERSPECTIVE. How long do you typically let it ferment for? Sorry I missed your question until now. I'm usually not in a hurry to see it finish. In the conditions in which I ferment sauerkraut, I'd say that I let it ferment an average of about 6 weeks. There is also A Field Guide to Fermentation by Arielle Johnson and Lars Williams which is basically the predecessor of Noma Guide to Fermentation and describes the topics that are nearly the same but less detailed very well. Chemical and Physical Characteristics of Pepper Mash and Hot Pepper Sauce. The kombucha has been started, y'all!!! I've read a little bit of the book. I love the writing style! I like that they use weights rather than volume measurements—I think that's extremely important both for consistency and safety. I do wish that they'd offered more detail about pathogens, especially the ones that are capable of reproducing at a relatively low pH! Listeria monocytogenes makes me especially nervous—I've seen death by listeriosis, it's a HORRIBLE way to die! Mention of the use of a plastic bag full of water as a weight/seal seems like a good idea, but there's a risk of ruining a fermentable if the bag leaks!!! Using 2% brine in the bag, rather than water, is MUCH better practice. They don't mention the weight—in mils— of the vacuum pouches that they're using, or many other details. The major problem that I had when fermenting in bags when I had the bokashi composting website and was doing frequent demonstrations was very slow leaks, in spite of extra sealing! So there was no releasing of gas and resealing. But that may be an issue only with the brand and weight (4 mil) of the pouches that I was using. The lemon verbena kombucha sounds good. I'm inclined to make both lemon balm and chamomile kombucha—they both grow easily in my neck-of-the-woods. I'll read some more tonight! Oops!!! They were 3 mil pouches! I've decided to make some chamomile kombucha. I've ordered a new SCOBY. I don't sit and read very many books cover to cover—this is an exception! I'll be experimenting for MANY years with different ideas inspired by this book! The folks who've given the book poor reviews should be spanked! 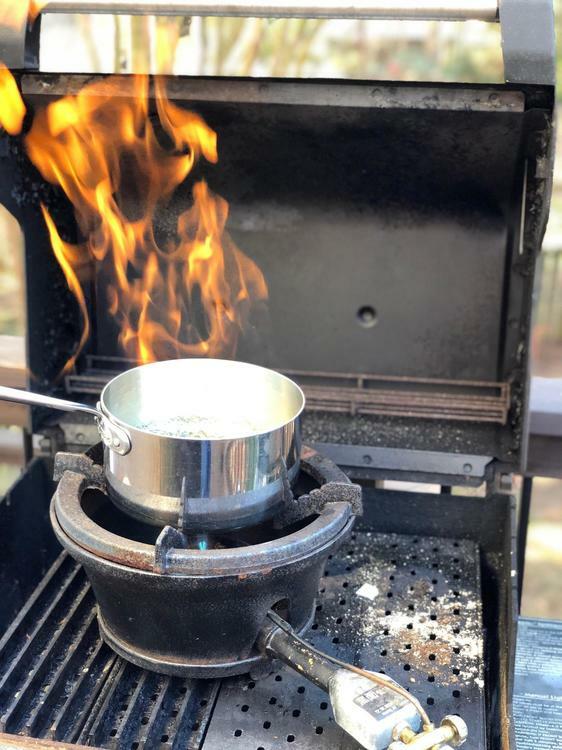 ETA: Flambéing a batch of bourbon is probably best done OUTSIDE!!! Yup. the book is pretty fantastic. FWIW, this is the cheese press that I've had for a few years. The StrudyPress—It is very sturdy! That's a gorgeous looking press. I just finished listening to both episodes—one and two. Essays on cured, smoked, and fermented foods from the Proceedings of the Oxford Symposium on Food and Cooking, 2010. I just finished the first fermentation of my first batch of black tea kombucha. It's been bottled in beer bottles topped with crown caps and placed in the fridge for probably what will be a couple months to complete the second fermentation—I want it to be keto friendly. I also started the second batch of black tea kombucha—it'll be a full gallon this time. I've asked my SCOBY source to hold off on shipping the new SCOBY until it warms up a bit! When I receive it, I'll start the chamomile kombucha. 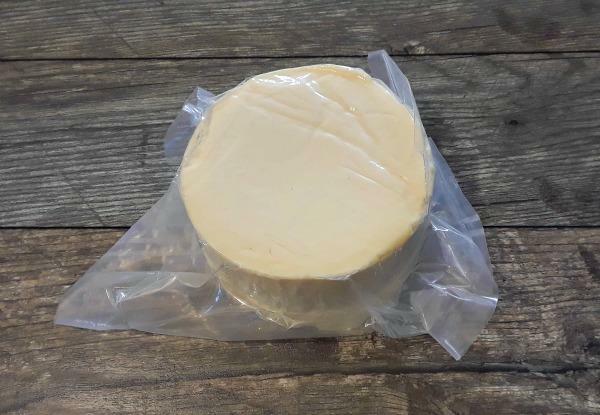 Super simple "hard" kefir cheese. This is as easy as it gets, in terms of "hard" cheese. I strained this and them gave it a good pressing. This pressed very well—clear "yellowish" whey, no sign of solids loss. It's a bit tart, sort of like feta. This would be great grated and added to salads and the like. Basic method here: How to make hard kefir cheese — one of several methods of making hard kefir cheese.